Do you recognize this problem? You would like to have good contact with your Pyrrhura or other bird, but he does not want that and would rather bite your finger! You’ve tried everything to find a good pet bird, but they are either too young or too wild or too expensive. You’ve had enough of those bird sellers saying things like “if you just do this and that, the bird will be as tame as can be ….” ? You’ve also spent too much money on a so-called tame Pyrrhura, parrot or other conure that simply bites your fingers off, flies away at any attempt of contact etc. etc.? And those are just some of the many examples! You’re a victim of misinformation about Pyrrhura’s and /or other parrots. A short time ago we published a SHOCKING REPORT (Free) about purchasing a tame Pyrrhura or other domesticated birds. 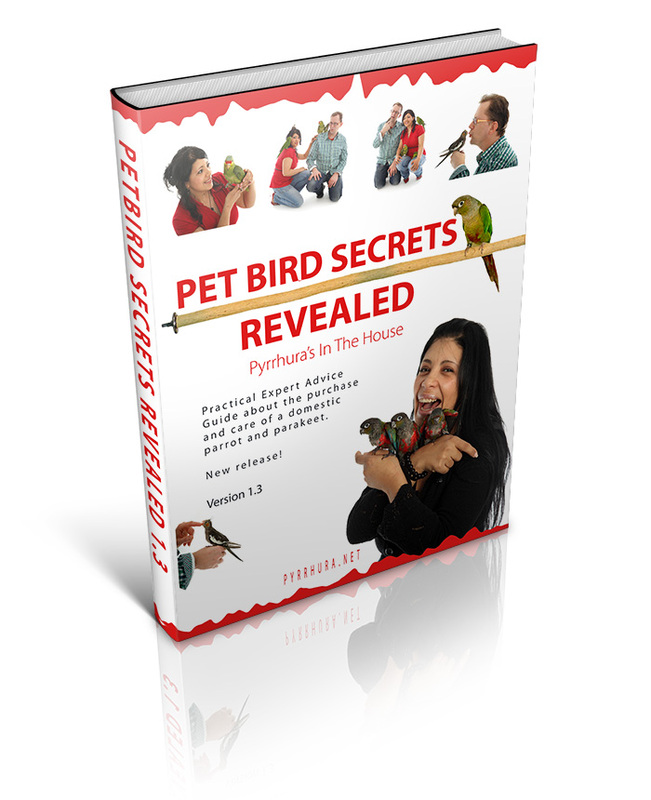 This report provides the key to the real solution to finding the right tame Pyrrhura, parrot or other conure. 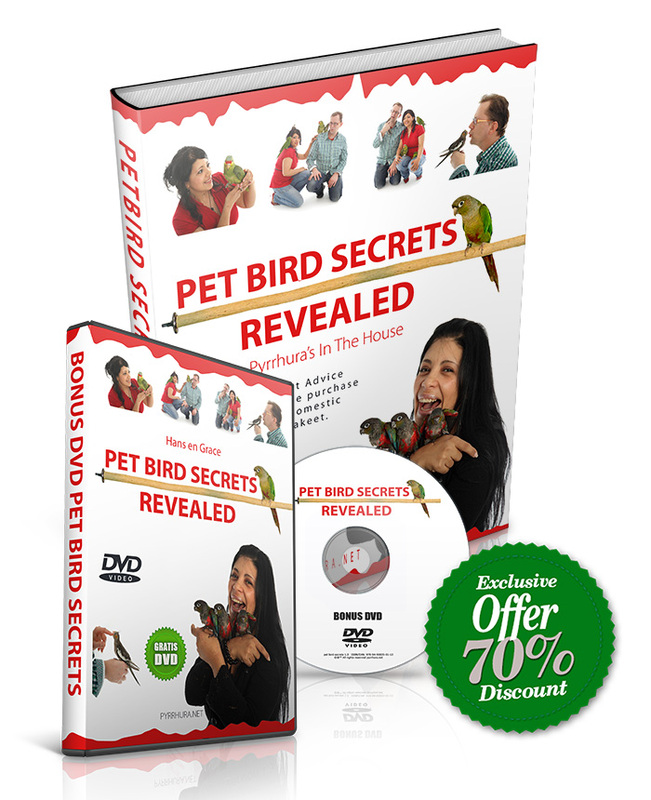 This report is currently turning the ‘bird trade’ upside down – you can not miss it in your struggle to find the most tame Pyrrhura or other pet bird that suits you.